One in 10 human babies are born prematurely every year; that’s 15 million babies. The survival rate for a human newborn increases every week the baby remains in the uterus up until its due date. At 24-weeks, the human baby is considered ‘viable’, meaning there is a good chance of survival with the aid of medical intervention. Now imagine a nine-week-old human foetus attempting survival outside the uterus. At this stage in their development they are about the size of a grape, their eyelids are fused shut and they have just entered the foetal stage of prenatal development. It is obvious that a human would not be able to survive outside the uterus in such an underdeveloped state. However, this is not the case for all mammals. Marsupials for instance, do not require such a lengthy prenatal period of development to survive outside the uterus. Still, when they are born, they are considered to be at the same developmental stage as a nine-week-old human foetus. For example; both the Tammar wallaby (Notamacropus eugenii) and the Gray short-tailed opossum (Monodelphis domestica) are able to survive outside the uterus, with less than 30 days of prenatal development. At the time of birth, the marsupial newborn climbs from the vaginal opening, attaching itself to the mothers’ teat. The newborn remains in there while they complete their physical and immunological development. Evolutionary research indicates marsupials diverged from humans about ~148 million years ago. One major difference between the two mammalian groups is their reproductive strategies, where humans complete their development in a relatively sterile uterine environment, whilst marsupials are born into a non-sterile environment. Marsupials are born highly underdeveloped and without a fully functional immune system and therefore are heavily dependent on their mother (for several months) to obtain passive immunisation from their mother’s milk. The immune system is a complex network of cells, tissues and organs that is designed to defend the body against disease. When a foreign agent enters the body, white blood cells produce antibodies to fend off the infection. In comparison, during the last three months of a human pregnancy, the foetus obtains the required antibodies needed via the placenta. Before this, the human foetus has no immunity to fend off any disease threats. 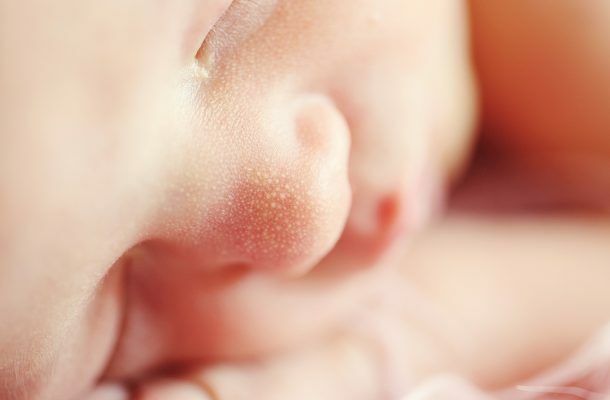 A premature human baby, born before the third trimester is at higher risk of infections as they miss out on important antibodies that are passed from the mother, via the placenta. Infections in premature babies can affect many biological functions that will inhibit the growth and development of the baby, and result in a multitude of problems, including sepsis, pneumonia, and meningitis, all of which are life threatening. A human baby at born at full-term (40 weeks), still requires still requires breast milk for the first few months after birth as it contains certain antibodies that cannot be passed on via the placenta during prenatal development, as well as immunisations from medical practitioners. Various lymphoid tissues and cells of the immune system develop at different stages in marsupials from the time of birth. In eutherians, the production of cells begins in the liver, then at birth, is taken over by the bone marrow. However, since marsupials do not have a mature immune system at birth, these immune tissues develop ex-utero. The liver is the first organ that produces the different blood cells used for immunity. In humans, the liver ceases its involvement in blood cell production at the time of birth, whereas the marsupial liver is still actively producing red and white blood cells for the first few weeks after birth, while the specialised immune organs and tissues have time to mature. The marsupial thymus is the first specialised lymphatic organ to mature. Its primary immune function is the promotion of specific immune cells, called T-cells. In various marsupial species, including the Virginian opossum (Didelphis virginiana), Northern brown bandicoot (Isoodon macrourus)and Common brushtail possum (Trichosurus vulpecula), the thymus starts to form on the first day after birth. Bone marrow is one of the main sites of blood cell development, though it develops much later in marsupials in comparison to humans. Since the bones of marsupials are still predominantly made up of cartilage at birth, there is no evidence suggesting blood cell development has begun. It has been suggested that around the end of the second week, postpartum, that the blood cells start to develop in the bone marrow of the marsupial. In the Virginian opossum, the bone marrow begins making blood cells after 5 days and increases its involvement until it reaches maturity between 65 to 100 days after birth. In humans, the foetus completes its development of the thymus and bone marrow during the 4th to 5th month of prenatal development. However, the thymus and bone marrow do not actively take over the role of blood cell development until after birth. How do marsupials have the ability to survive (and thrive) outside the mothers’ uterus with very little prenatal development whereas humans cannot? By advancing our understanding of the evolutionary divergence between marsupials and humans, we can gain a better insight into the development of the immune system which may aid in the care of premature babies. 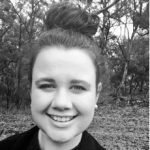 Andrea Schraven is a post-graduate Master of Research Student in the School of Science and Health at Western Sydney University. She researches the immunological development of postnatal marsupials and the phylogeny of immune genes.